“How much clothing do I really need for my new baby?" It's one of the biggest questions pregnant moms ask. 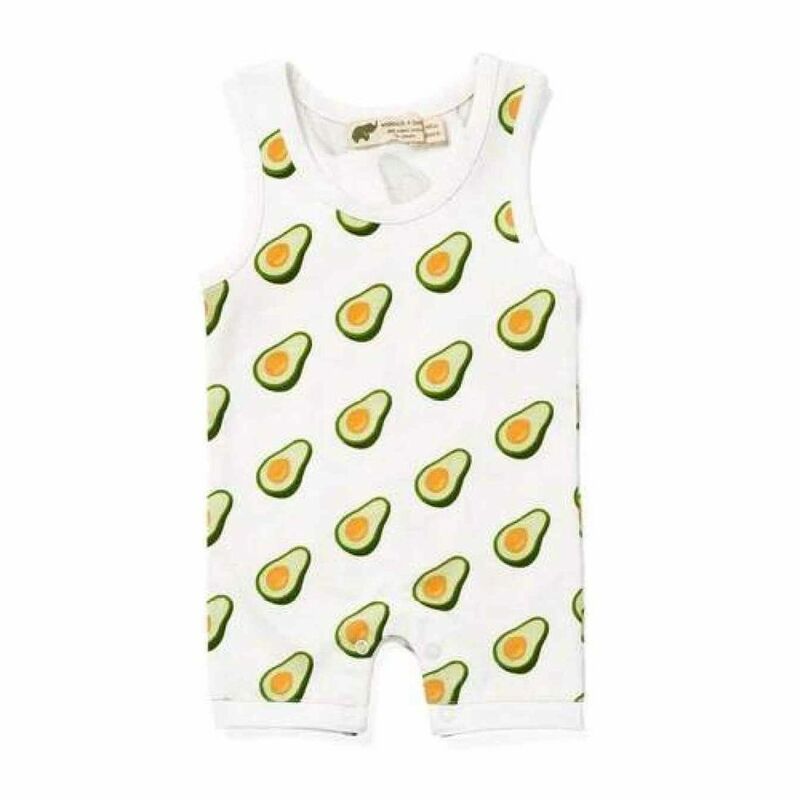 Baby clothes are the cutest, and picking out those teeny tiny onesies, sleepers, and socks is for sure one of the most fun parts about becoming a new mom—but it can also be confusing to anticipate what's worth buying, what to skip, and how many of each clothing item you'll actually need when the time comes. If you're not familiar with this (genius) idea, we can't wait to fill you in: a capsule wardrobe is a collection of essential, classic, and versatile pieces of clothing that can all be mixed + matched together. Capsule wardrobes embrace the idea that less is more, and that buying a small group of staple items that are easily interchangeable is the best way to maximize your wardrobe and minimize your spending. We are all about the idea of fewer, better, beautiful. We swoon over must-have minimalist baby products, and we think a toy capsule collection is genius. So when it comes to dressing baby? It's a no-brainer: a baby capsule wardrobe is the way to go. Considering that every family's laundry situation may be different, here's our master list for a basic baby capsule wardrobe. Remember, these are the basics—you can always add on with more accessories, an extra sweater or two for colder climates, and shorts or a swimsuit for warmer ones. Keep it simple + streamlined. Stick to a few brands you love + color palette that fits your style. Capsule wardrobes are all about simplifying your life; don't overcomplicate things with too many options. Choose basic, easy pieces that all work together and can be mixed + matched with ease. Choose comfort + practicality over style. I know, I know—those cute little dresses and tiny little baby shoes are calling your name. But practically speaking, they're probably not the right choice for your little one, who wants soft, comfortable clothing that's easy to move around in and won't irritate sensitive newborn skin. Balance quality + affordability. If you're only buying a limited number of clothing items, you want to make sure they can withstand lots of wear + tear and multiple washings. (Because...spit-up.) You want to find a balance that works for you by choosing brands that fit within your budget, but also stand the test of time. And now onto the fun part, mamas—shopping! We've pulled together our absolute favorite, gender-neutral baby basics that you'll need to build your little one's capsule wardrobe below. We can't wait to see what you choose! Think of the basic white bodysuit as the (much cheaper!) little black dress of your baby's capsule wardrobe collection. It's simple, versatile, and an absolute must-have. This foundation piece is the perfect base layer when it's chilly, under either daytime clothing or as an extra layer at night. It works with a simple pant or legging for a cute, clean look, or it can be tossed in your diaper bag as an emergency outfit change for those messy moments. A classic baby registry item for a reason—the price and quality here simply cannot be beat. 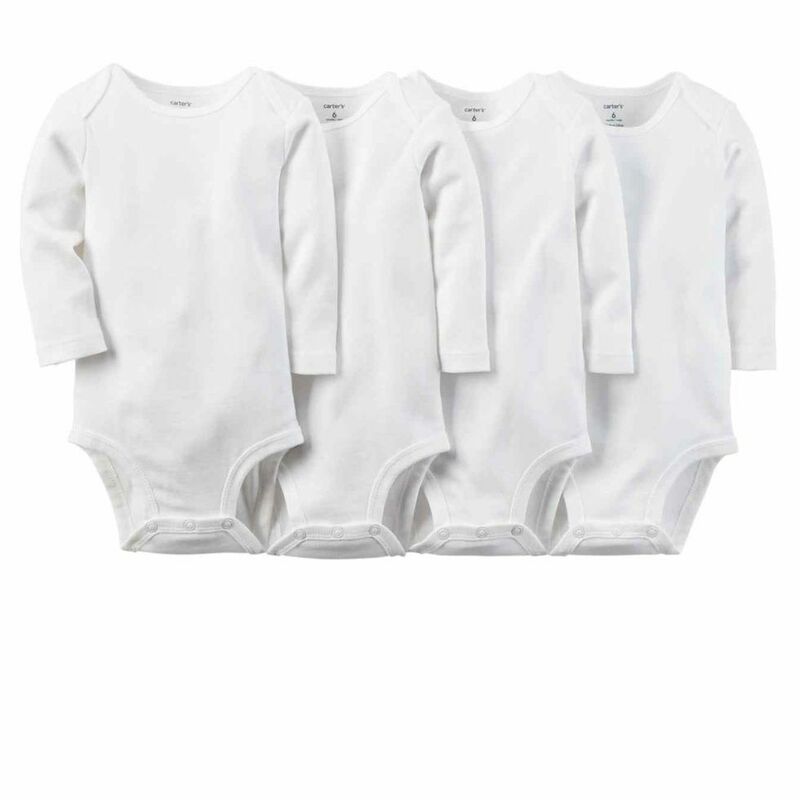 We recommend a few packs of these in every size, for the first 18 months or so of baby's life, in both the long sleeve and short sleeve styles. Sleepers are a baby staple for so many reasons, but mainly because babies sleep + lounge around quite a bit in that first year (we hope!) and need something comfy to do it in. A cute sleeper can also double as a daytime outfit, so keep that in mind when choosing colors + patterns. And because we think snaps are the last thing you need to be fumbling around with during middle-of-the-night diaper changes, we have a hard and fast “zippers only" rule when it comes to sleepers. We're also partial to organic materials; they may cost a bit more, but we truly think they are worth it for the comfort and durability factors. Primary is one of our go-to's for capsule wardrobe pieces. 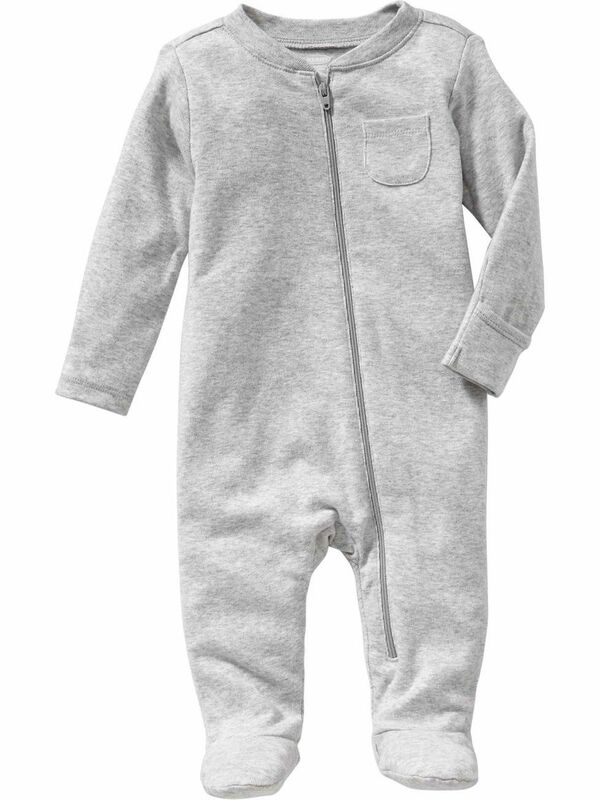 This zip footie is simple, soft, and comes in a huge variety of colors. One of our favorites of all time, these legendary sleepers are the perfect combo of style + function. They don't come cheap, but they're hand-me-down quality and we swear they magically grow with baby and last for months! 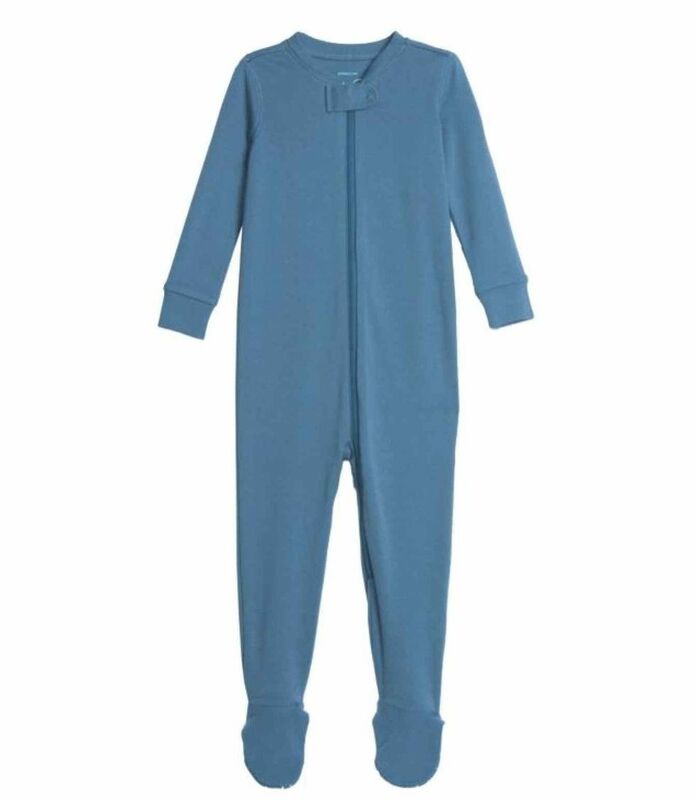 These super affordable zip footies make a perfect pajama and are ideal for playtime, too. 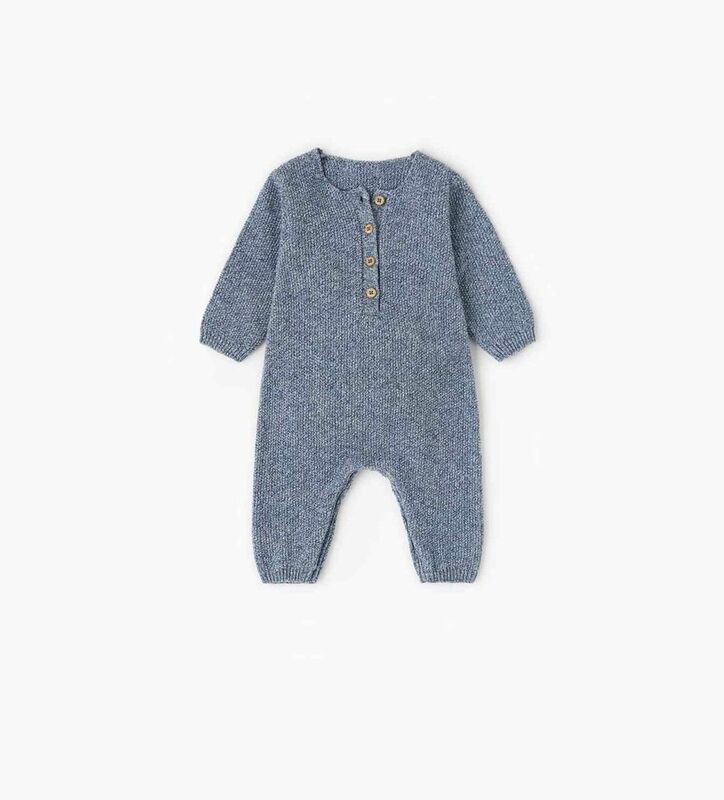 Onesies + bodysuits are will make up the bulk of your baby's capsule wardrobe. Depending on the season, they can be worn alone or with pants, and they can be a mix of short and long sleeved. Bodysuit packs are a great way to get more bang for your buck. 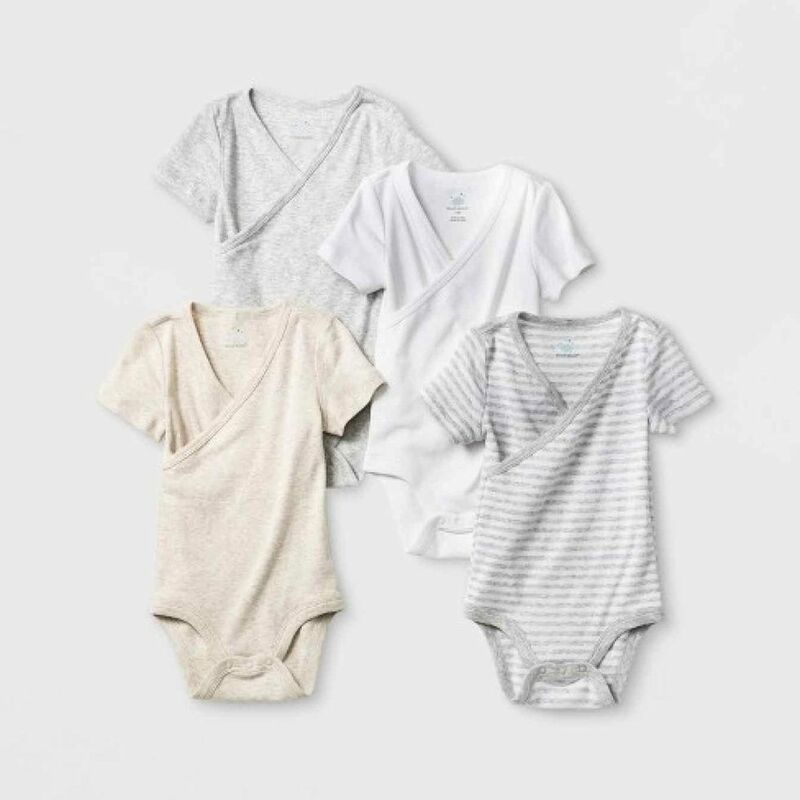 We love the natural, muted colors of these cotton bodysuits, and the kimono-style neck, which means you don't have to worry about squeezing baby's head through a tiny neck opening. 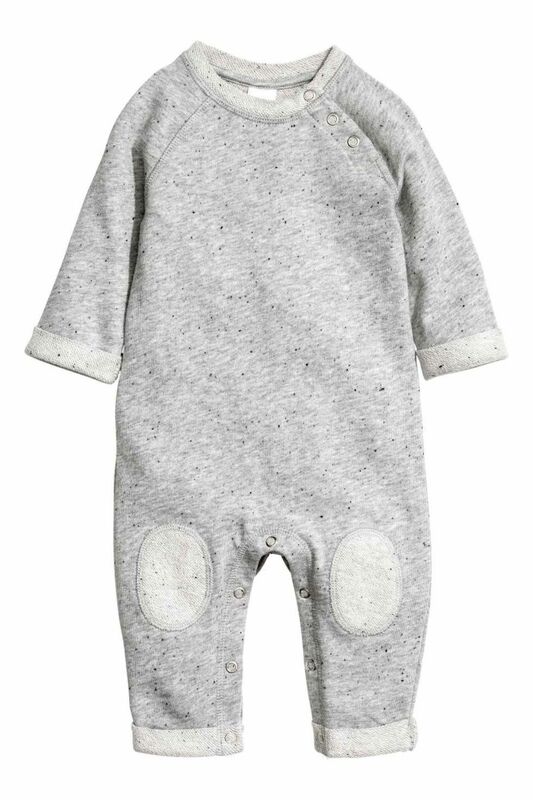 This soft cotton footed one-piece features a sweet, gender neutral pattern and a zipper for easy diaper changes. 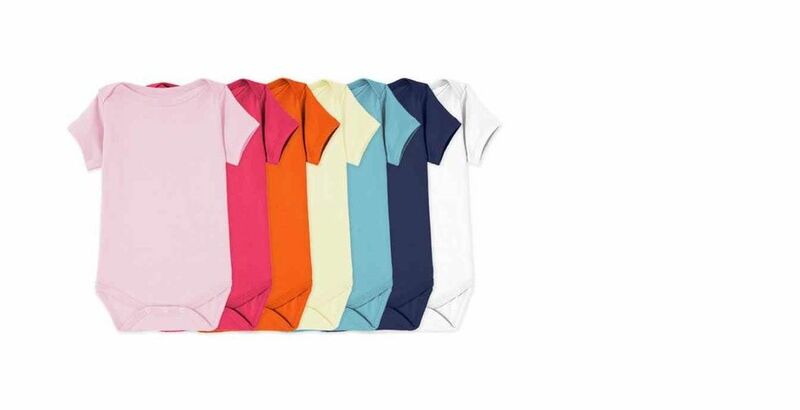 These basic bodysuits come in every color of the rainbow and hold up to lots of washes. At only $8 each ($7 if you buy more than three), they're a great value. 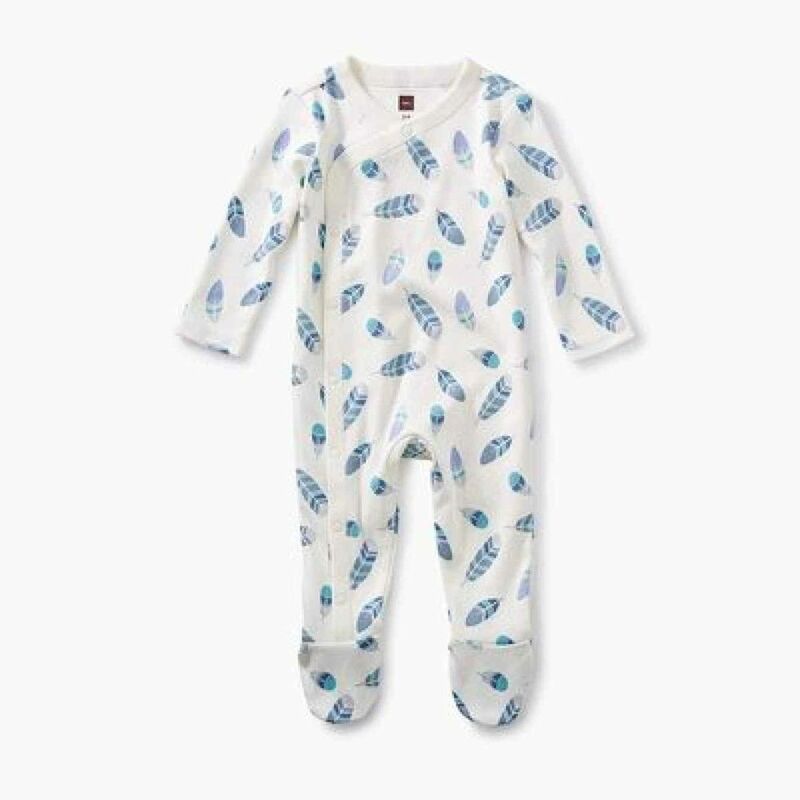 We love the sweet pattern on this footed one-piece and the ultra soft feel of the 100% cotton fabric. The sweet graphic and stripe on these one-pieces add will add a touch of flair + style to your baby's capsule wardrobe. We also love the easy on/easy off necklines. 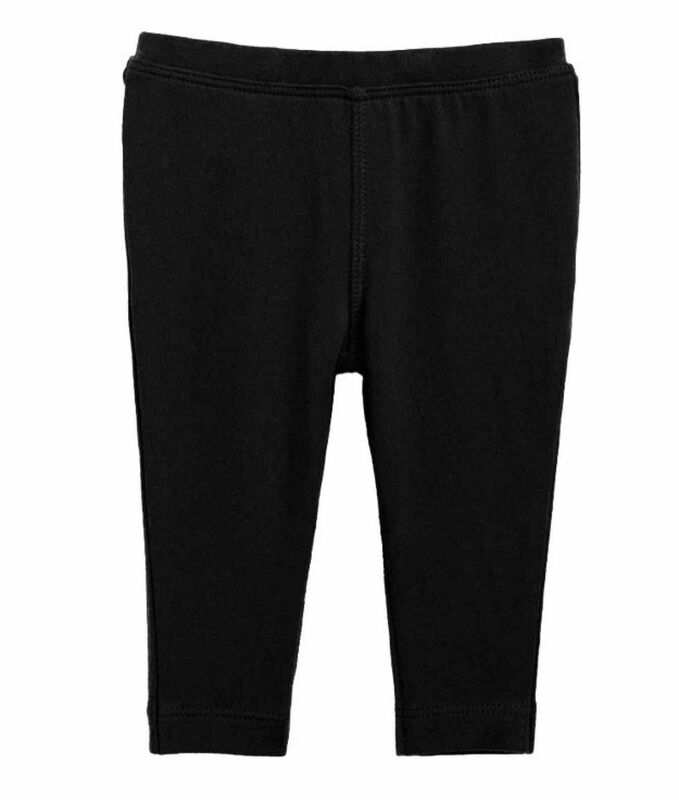 When shopping for baby pants + leggings, soft material + stretchy fabric are key. Make sure baby has plenty of freedom to move, kick, and eventually crawl. These pants go with just about anything, and the button details add a cute touch of style. Wiggle pants—the name alone just makes us smile! 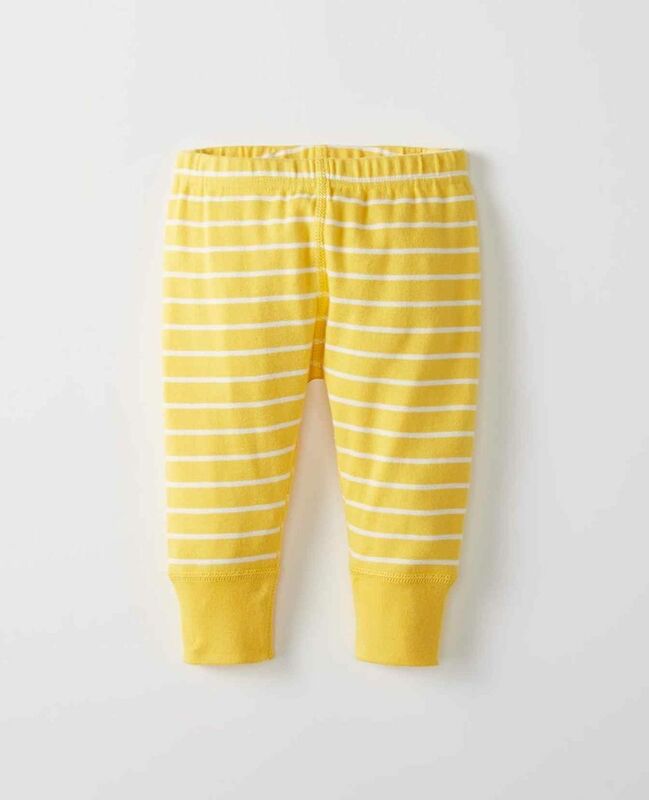 We're swooning over the stripes, bright colors, and great fit of these super cute baby pants. 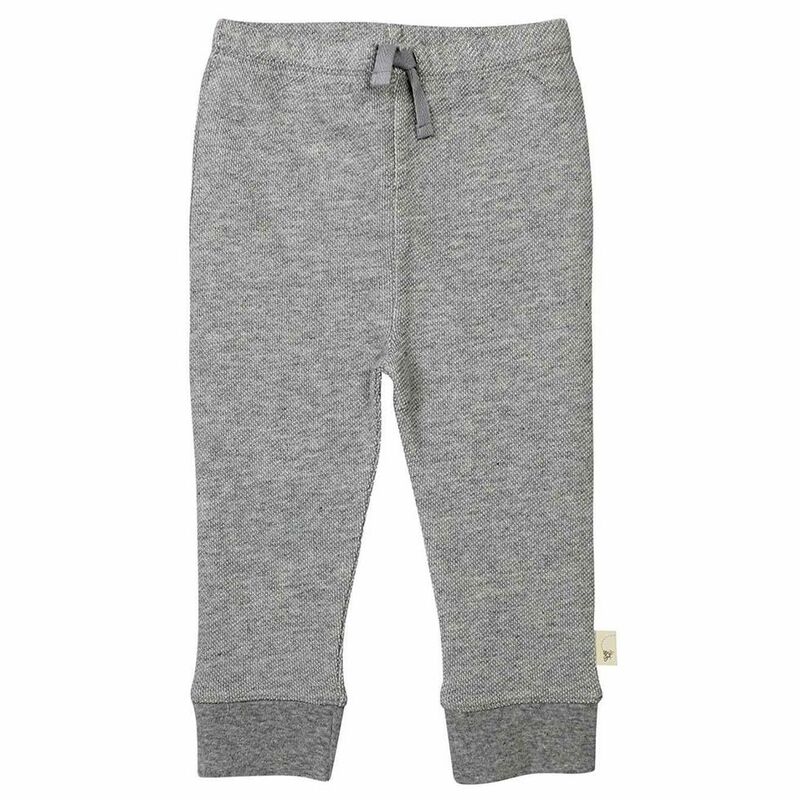 Everyone needs a pair of joggers, and your baby is no exception ? The pique fabric earns these extra points for style. The versatility of leggings (aka the best, most comfy pant ever invented) can't be beat. 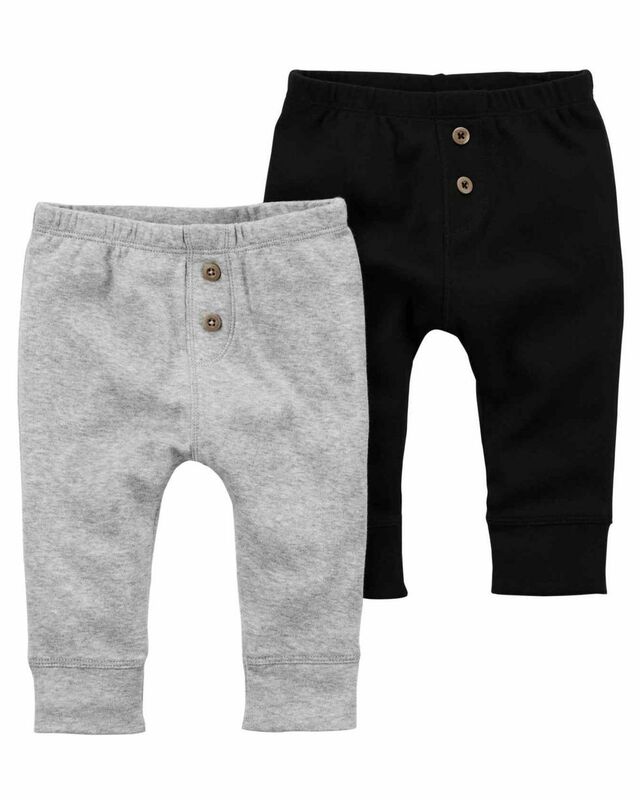 We love these because of the wide, no-roll waistband and the flat seams that won't rub against baby's skin. No baby wardrobe is complete without an adorable pair of overalls. 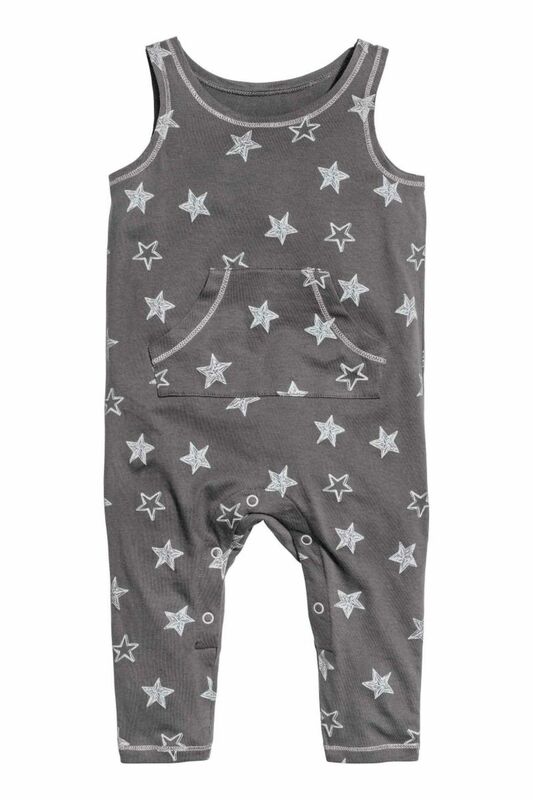 These work with almost any onesie, and look great on either a little boy or girl. This sleeveless jumpsuit is soft, comfy, and can be worn with or without a onesie underneath. We realize this doesn't quite fit into our “stick with the basics" rule, but...AVOCADOS! We just couldn't resist. Even in warmer climates, it's important to remember that babies get chilly pretty easily. It's always important to have a few go-to warmer pieces in your capsule, whether for wearing on their own, or as an extra layer. 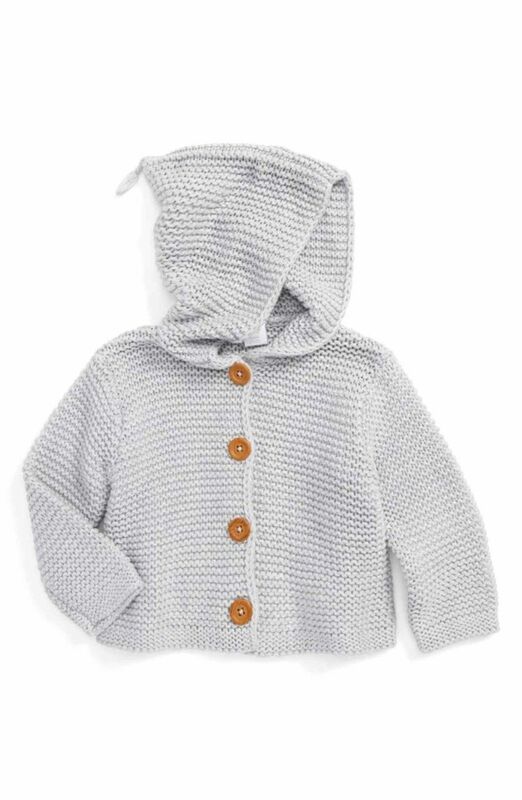 This chunky knit hooded cardigan couldn't be any cuter. Make sure to size up so you'll get plenty of use out of it as baby grows. We heart the simple style of this sweater romper. It's made of 100% cotton so it won't itch baby's skin, and it can be thrown in the washing machine for easy care. This sweatshirt jumpsuit works great on its own, or as an added layer on chilly days. Unlike us, mamas, babies don't need all that much in the way of accessories! A cute bonnet, patterned socks, and a neutral bootie can go a long way in changing up the look of an outfit and livening up your capsule. 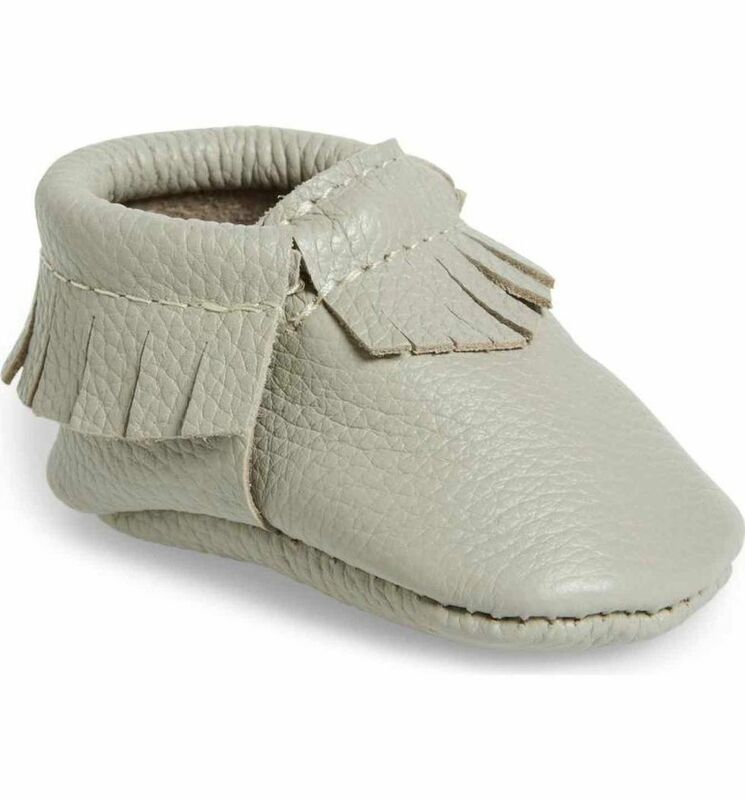 Our favorite baby “shoe" around, these moccasins can be paired with any outfit and, most importantly, stay put on tiny feet. They're also easy to take on and off, and make a great soft-soled shoe for very early walkers. 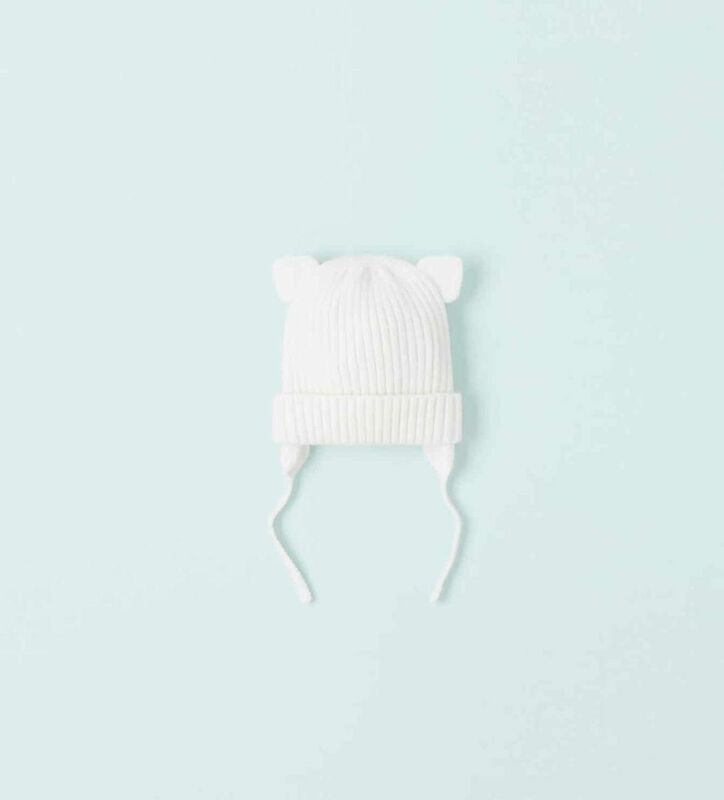 This sweet ribbed hat will keep baby's head warm when the temperature dips! Socks that look like sneakers? Yes, please. And, they actually stay put on baby's squirmy feet!